Since the inception of this blog I’ve written a whopping 20 posts. Twenty? I know, it seems like so much more… And every single day there is one post at the top of my ‘top views’ page – Pandeia. I knew it would be popular, but – wow. So, I figured it would be time to check in with Kelsi and see what’s new with Pandeia. The first order sold out in 2 days (! ) – and Kelsi is currently making more watches to fulfill the next order. Pandeia was also featured on the ‘slow fashion’ blog The Valente , which loved Pandeia and my blog post so much that they shared it with all their readers as well! The city style adventures of two best friends exploring the Big Apple in their colorful Pandeia watches. 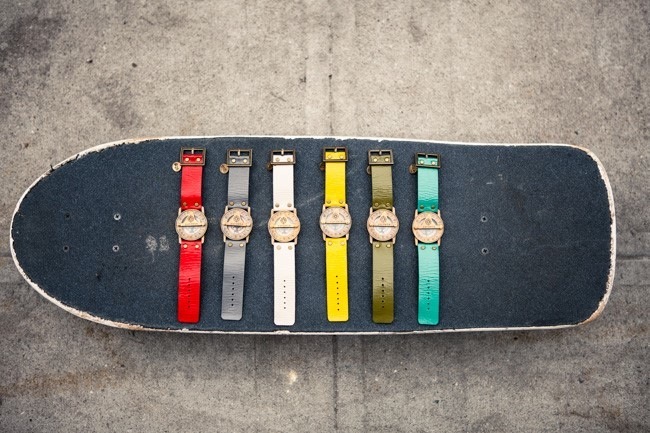 Explore New York City & discover the new colorful strap options. Don’t you just love these new color options? A bohemian inspired shoot of two beach babes who discover a treasure trunk full of Pandeia watches that washed ashore. Two road-warrior love birds hit the road in style. They head for the highway in their VW van equipped with instruments, Pandeia watches and a drooling guard dog. Shot in Australia, this shoot inspires you to start packing and hit the open road. A day in the life of a Pandeia explorer. Shot in Kula, atop the mystical Haleakala Mountain, home of Pandeia Studio. And lastly : HAPPY BIRTHDAY KELSI! Thanks for all of your support with my blog project and may this next year be the best yet!!! Pandeia watches can be described as a compass sundial wristwatch, made of hand cut leather and antiqued brass, but upon closer inspection you discover that its really so much more. Like a conversation starter. And my personal favorite: motivation on your arm. 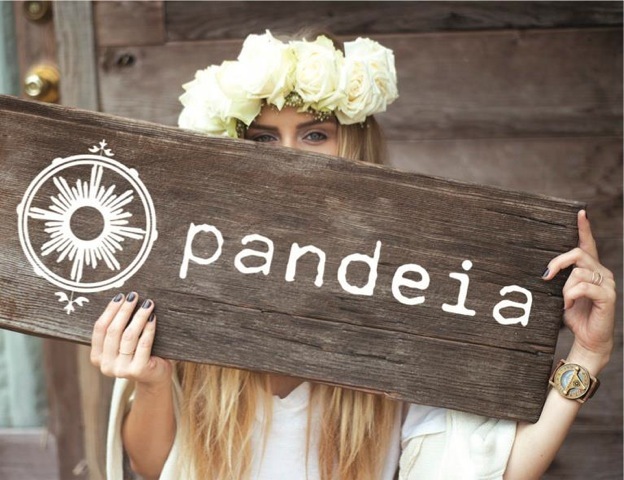 I fell in love with Pandeia when I saw the tagline – FOLLOW YOUR INNER COMPASS. What could be simpler, and more empowering? I could go on and on about the power of this tagline, which I might just stencil over my kitchen sink (or really, I should just get a Pandeia), but let’s get back to the wristwatch. 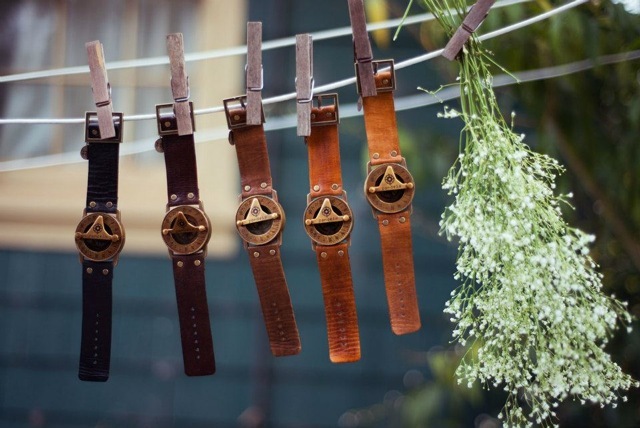 Pandeia got its start with the discovery of a brass pocket compass sundial in a vintage shop, and when it was combined with some leftover leather straps and a brass buckle, a whole new company was birthed. The more I researched Pandeia, the more interested I became, and was stoked when the woman behind Pandeia, Kelsi, agreed to take time out of her crazy busy watch making, order filling and social networking schedule to let me interview her. MM: What is Pandeia to you? Kelsi: Pandeia is more than a time piece, it is a wearable reminder to escape the boundaries of time. Its a conversation piece that helps share the idea to live free and enjoy each moment. 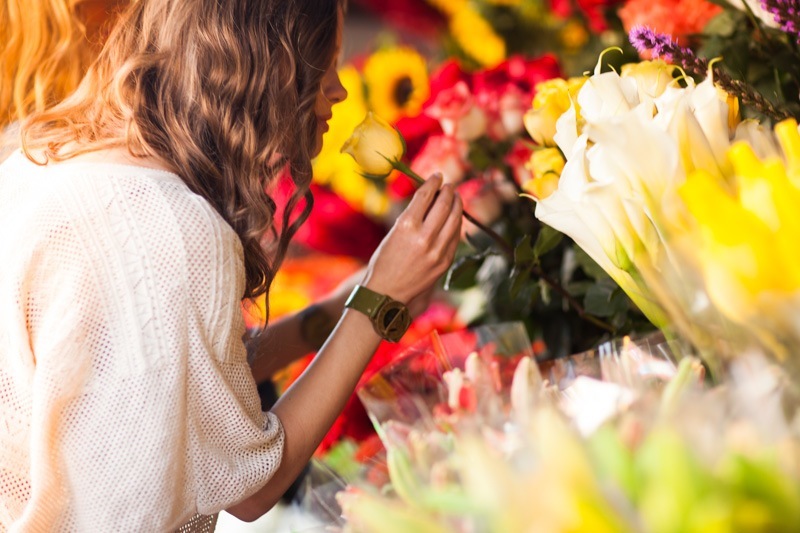 MM: What kind of personalization options do you offer? MM: How does the watch actually work? Kelsi: The instructions are engraved on the back of the piece, but you hold the watch level, find North with the compass, flip the dial wing vertical, and the dial wing will cast a shadow on the roman numerals, telling you the time. There’s a slight variation in time depending on the season, your location on earth and whether you participate in daylight savings. MM: Where can people buy your watches on Maui? MM: When did you realize that this would be a real business and not just a hobby? Kelsi: When I started Pandeia I was running a business for another artist on the island. I created Pandeia in my spare time. It took a long time to develop since I was investing the little money left over from each paycheck into it. I remember not knowing if I had enough money left for dinner because I just ordered 100 buckles. I was 23 years old and happily scraping by. The day that I quit my real job Pandeia instantly became full time. The second that I put all my energy into it, it started growing. And it was growing faster than I had ever expected. Its been a one woman show and I’m stoked to finally hire a part time intern. I work way more than full time. It never stops. But when you love what you do, you don’t really want it to. It doesn’t feel like work. Its fun. There are so many different aspects to the business that I never get bored. From photoshoots, to social media, to making the actual product, developing new ideas, finding stores, filling orders my work is never done. 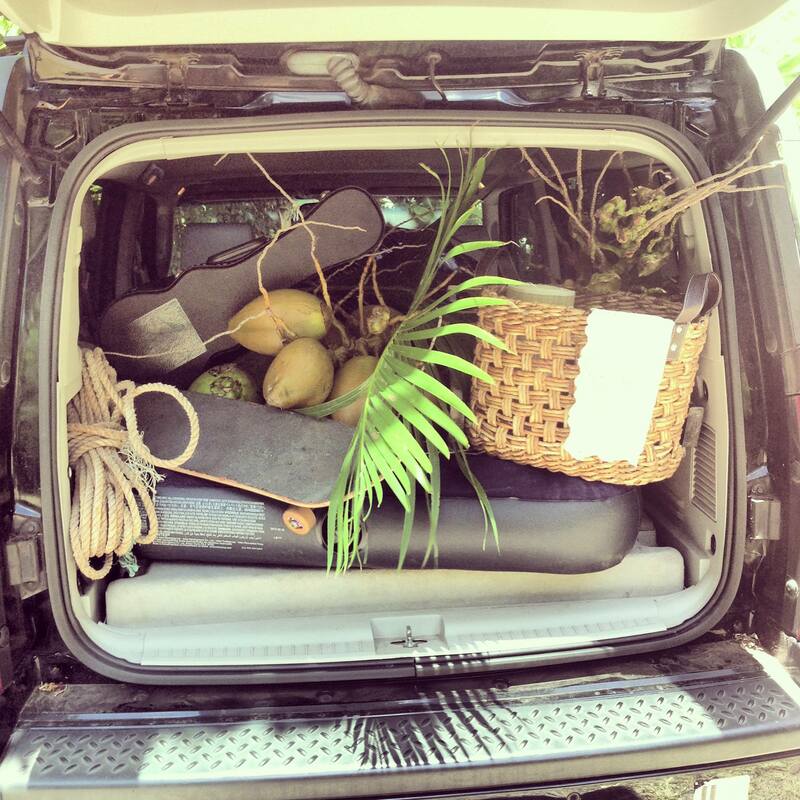 MM: How is Maui as a place to be creative? Kelsi: Maui is an awesome place to be creative, there is endless inspiration. My studio and the birth place of Pandeia is a 250 square foot shack in the middle of the jungle (Haiku). You have to hike to get down here! Being able to create in a workspace surrounded by nature is a dream come true. Maui is also amazing because there are so many other creative, like-minded individuals. I love collaborating and supporting one another. MM: What do you see as the next step for your business? Kelsi: I constantly have new ideas whirling around when it comes to Pandeia. Pandeia has become a world traveler. My watches are found in stores and on wrists in Japan, Australia, South Africa, Amsterdam, Sweden, France, Italy, Canada, Brazil just to name a few… the list grows everyday! I wish I was so well traveled. I am also hoping to expand my line in the near future by introducing other styles and rings/necklaces. MM: Wow! Keep us posted, Kelsi! Now get back to work! Photos by Lens and Key, Location in scenic Kula, Upcountry Maui. If you want to see more of Pandeia – here are two video links. Escape the boundaries of time with this unique compass sundial watch. Made of brass and handcrafted leather, this time piece inspired by the past is sure to be as unique as the free spirit wearing it. Pandeia compass sundial watches are made with love and aloha in a jungle shack on Maui. Stay true, be strong, and always FOLLOW YOUR INNER COMPASS.